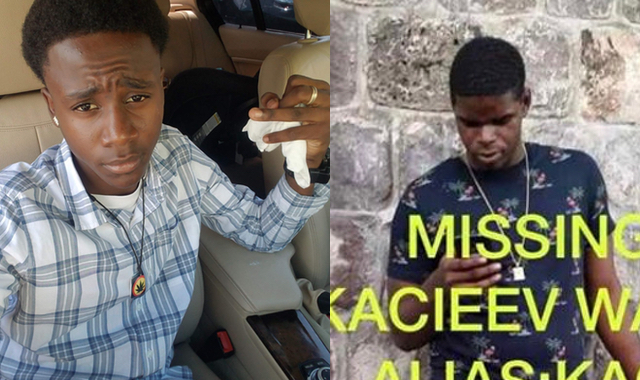 Basseterre, St. Kitts, 21st January, 2019 (MyVueNews.com) – Police are investigating reports of two persons reported missing on 21st January. According to information obtained the first person reported missing was 15-year-old Jaseade Nisbett from Gillard Meadows. Jaseande is said to be about 5 feet 7 inches tall. The second person is 20-year-old Kacieev Ward, popularly known as ‘Kaci’. It was reported that Kacieev traveled to Nevis on Saturday, 19 January, and has not been seen or heard from since then. Kacieev Ward is about five feet nine inches in height. Persons with information should call 664-1515 or 760-4547. Photo: Jaseade Nisbett (L) of Gillard Meadows and Kacieev Ward of Dieppe Bay.